Jordan Brand is expected to make noise once again with a nice treat for all of us! 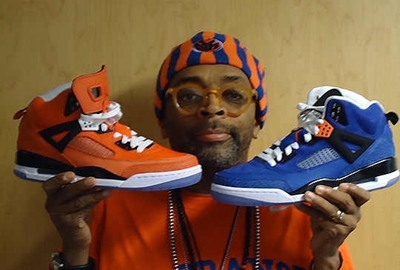 JB announced that aside from the orange edition, the Jordan Spizike Knicks will also be released in Blue/Blue-Orange, a la New York Knicks away team color! Like the orange edition of the shoe, this silhouette from Jordan Brand is absolutely impressive, making one of the must-buy models for this year! It will be released anytime from not so watch out for it!